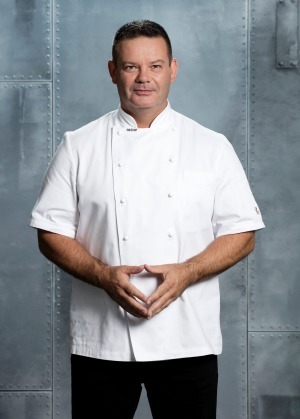 Best known as one of the judges of MasterChef Australia, Gary Mehigan has been cooking in Australia since the 1990s. Originally from Britain, he trained at Michelin-starred restaurants The Connaught Hotel (under Michel Bourdan) and Le Souffle at the Hyde Park Intercontinental (under Peter Kromberg). In Melbourne, at the age of 31, he started Fenix restaurant, which he owned for 14 years and, after that, the Maribyrnong Boathouse, catering company Big Kitchen Events and events space 64 Sutton, all of which he sold last year. He has travelled to Mumbai, India, nearly a dozen times, hosted travel show Far Flung (now airing on the SBS Food Channel) and, most recently, can be heard on his food podcast A Plate to Call Home on the Podcast One App. I was part of Oz Fest six years ago with George [Calombaris]. We were part of a kind of cultural business program for the Australian High Commission that had all sorts of people – politicians, entertainers, musicians and two chefs, which seemed quite strange at the time. We had fans chasing us down the street, huge crowds at book signings and media clambering to interview us. It was quite crazy. Recently, I took two of my chefs, one of whom was there for the first time. I said, "Do you want a real impression of what India is like?" Because you arrive at the airport and it's all really new, insular and clean. We went straight to Dhobi Ghat, which is kind of the municipal laundry. Basically it consists of lots of little leases where people live and work and they have these laundry walas – wiry men pushing half a tonne of laundry around on a cart. 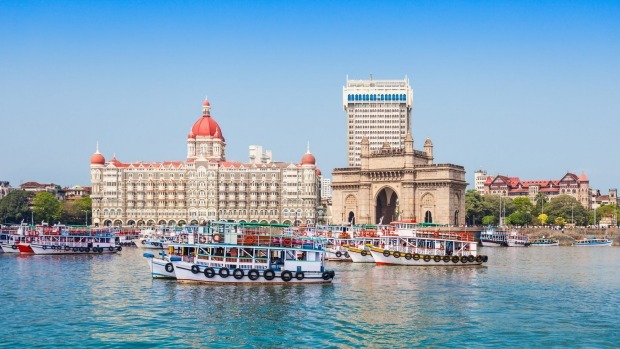 It's the "proper India", the Mumbai India; just a huge groundswell of people; smell, colour. It's a riot of everything that I think for some people could be very scary; for others, fascinating. Do you eat street food there? I'm really careful. If I'm there to work I've just got to be practical about it and go, "OK, you've got six days of work, you don't want to get sick on the first day". There's a few essential steps that are always wise to follow. First, take recommendations from people you trust. Then, have a good look. Are they using bottled water? Mumbai's done a good job of cleaning up its street stands and applying a modern sense of health and hygiene. But a good dose of commonsense [is advisable], otherwise you'll get a dose of something else! Go to places like Soam. It's a Gujarati restaurant; it's also vegetarian, clean and simple. 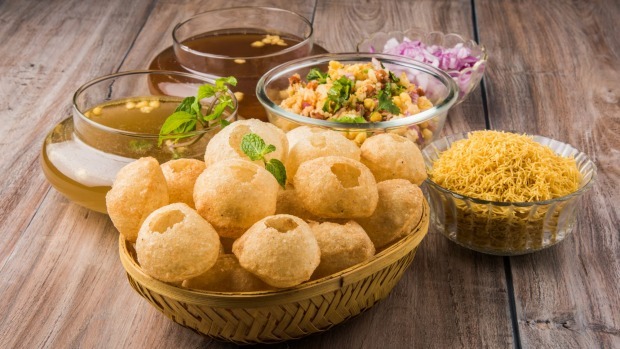 You might have to queue because it's always busy but you can have all of those little street favourites like sev puri, bhel puri or pani puri. They're delicious and safe. There's also Swati Snacks. Is coffee a thing in India? There's a lot of bad coffee. My friend, Pallavi Sharda, a Melbourne-based Bollywood star and Seven Seeds fanatic, said Blue Tokai is the in place to go. My tip: go the masala chai, instead. I love it. Is Bollywood beckoning you, perhaps? No. I think that would be Matt Preston's gig, don't you? He'd make a great Bollywood star. I'm too boring. I'd be the bank manager. 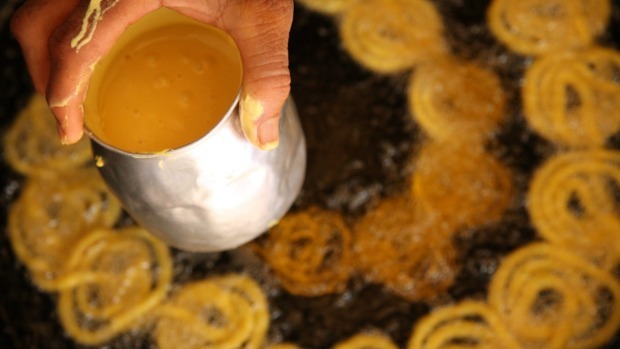 On the streets you'll find things like jalebi. They use a lot of fermented batters so what we might know as pancake batter, imagine if it was bubbly and fermented. They make a chickpea batter pancake called rabri that they fill with a reduced milk pudding – it's like condensed milk. It's very sweet. They put things in like saffron and pistachio nuts or it just gets ladled over with a sweet, aromatic syrup. A diabetic's nightmare but delicious! For great views out to sea and a cool evening sea breeze, try The Marina Upper Deck at the Sea Palace Hotel. Doolally Taproom is a microbrewery based out of Pune but there are now outlets popping up in a number of sites in Mumbai. I loved the beer and sodas and being part of something new and local here. You're a fan of eating in hotels. Any favourites? I've been lucky enough to stay in some good hotels, like the Grand Hyatt Mumbai. It has an all-purpose restaurant, Fifty Five East, but also an Indian tandoor restaurant, where you can peruse all the curries and bits and pieces and go, "What's that, I like that, what's that called?" At the Four Seasons they've got San:Qi, a mixed Asian restaurant heavily weighted towards Indian food and it gives the traveller the complete opposite experience to feeling challenged on the street. There's more or less three big markets. 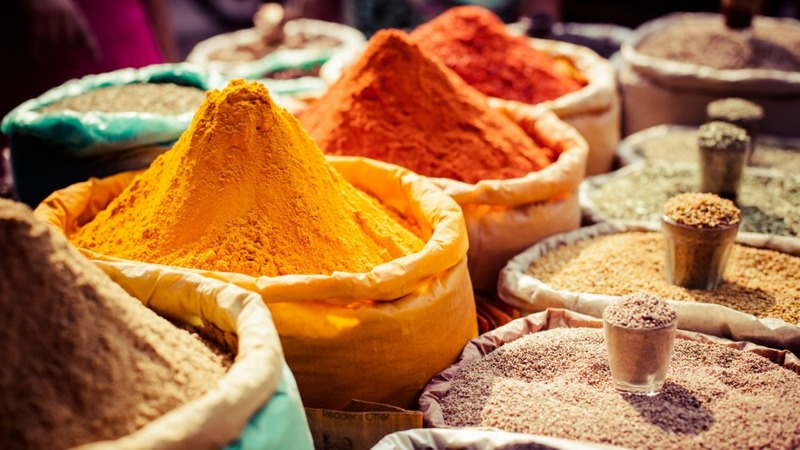 You've got Dadar and Malad fish markets, Crawford Market and then you've got – and I can't pronounce it – Lalbaug, which is a spice market. And pretty much those three markets are for tourists. If you get to walk around there you're going to see everything. Take an organised tour to Dharavi, which I think is the second-biggest slum in Asia, third biggest in the world, and it's right in the middle of Mumbai. For most Australians it's quite shocking. For people who travel, it's fascinating. Soam, ground floor, Sadguru Sadan, Babulnath Road, opposite Babulnath Temple, Chowpatty. Four Seasons Hotel Mumbai, fourseasons.com/Mumbai. Lalbaug Spice Market, Dr Ambedkar Road, Lalbaug East, Mumbai.